The Ancient Ruins Of Wari: Proof Of Advanced Ancient Technology? History The Ancient Ruins Of Wari: Proof Of Advanced Ancient Technology? At an altitude of 3km above sea level, located near Quinua in the Ayacucho region of Peru we can find the old ruins of Wari, the capital of the Wari empire that ruled the area between 500 to 1000 AD. The number of slabs that was found in Wari capital city was crafted from the solid volcanic stone and it has interesting features like, precision cuts, almost perfect lines and interesting drill holes that are told by many that are a proof of a missing ancient technology. The Wari or Huari was a Middle Horizon culture that expanded across the south-central area of the Andes and the coastal region of modern-day Peru. The Huari was an Andean culture that prospered in the middle of the Andes from about 500 to 1000 AD. Almost 15 kilometers northwest of the present day Ayacucho, the greatest and most prominent City that is related to this culture is Wari. Wari was the center of an empire that covered most part of the mountains and the coast of present-day Peru. The Wari Empire initiated the distinctive architectural centers in a lot of its provinces like the Cajamarquilla or Piquillacta. Together with the Inca Empire, Wari is thought to be one of the greatest imperial cultures that came in the southern hemisphere as told by experts. The Wari ruins which were the capital before is a real proof of a very organized city with residential, administrative and religious areas. Intriguingly, like the many other sites in the region, The ruins of Wari has a lot of surprising slabs which as told by a lot of authors are a proof of a well-refined civilization that occupied the region. But are these ruins really from Wari or is there a chance that the ruins precede the Bronze Age civilization? If those giant slabs made of Andesites stones with accurate cuts, incredible grooves, and other fascinating features were made by the ancient Wari? Then the question is who did they do it? What sort of technology did they use to work with some of the toughest materials on Earth a few thousands of years ago? The stonework found in the ruins of Wari surprisingly looks like those from the other ancient sites in the Americas. 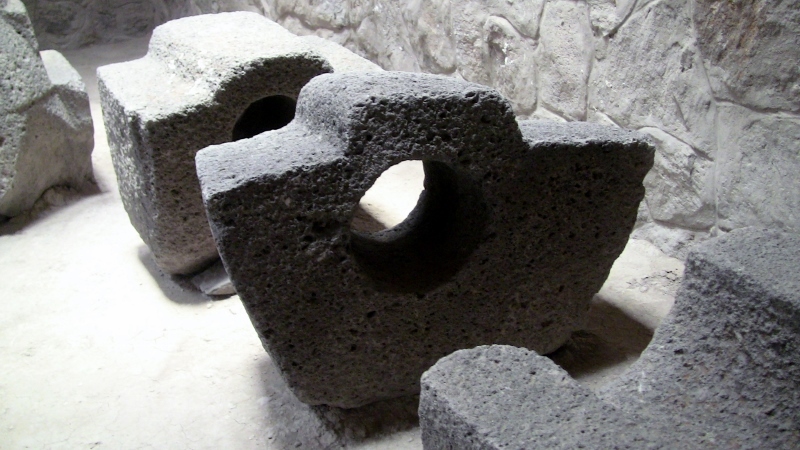 Resembling stonework can be found in Puma Punku, Ollantaytambo, Tiahuanaco and even from Ancient Egypt. How likely is it that these sites that are located thousands of kilometers from one another show strange identical grooves, precision cuts and slabs. 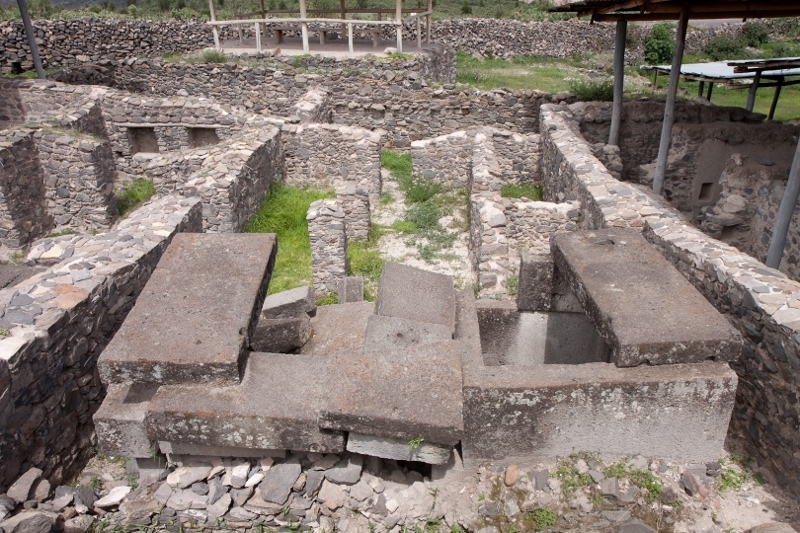 A note from Brien Foerster, an author, and researcher says that some of the stones located in the ruins of Wari are "intact examples of possibly hundreds of great complicated shaped conduits. Additionally, the locals have no statements or opinions when asked about the process of the creation these slabs, how are they made, their purpose, who made them, if it was from the Bronze age civilization or from another culture that maybe came first before the Wari. Due to centuries of drought, the Wari civilization started to fall apart around 800 AD. Archeologists have settled that the city of Wari was greatly devastated by 1000 AD. 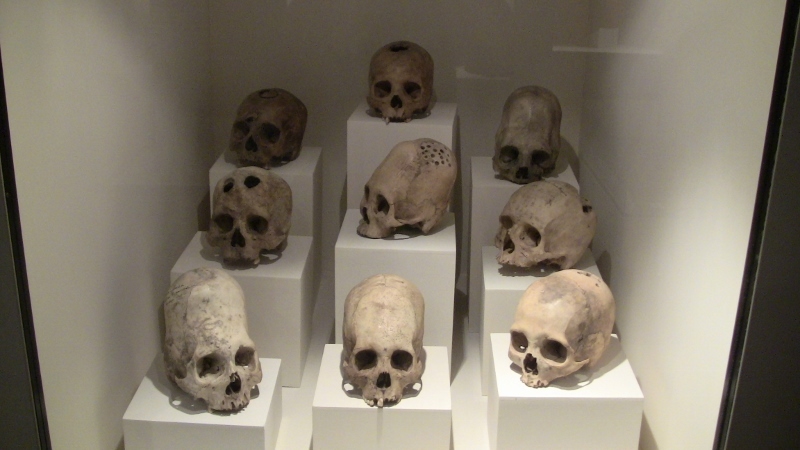 From the note of Brien Foerster at hiddenincatours.com says that very odd elongated skulls were found in the region of Wari. They were expected to be from the culture but haven't been checked for radiocarbon or have its DNA tested, so that is clearly a hypothesis.